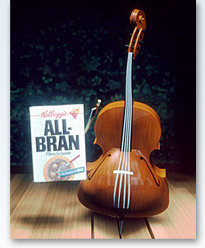 Kellogg's All-Bran - Cello (1993) - Taken from an old version of Pixar's website. 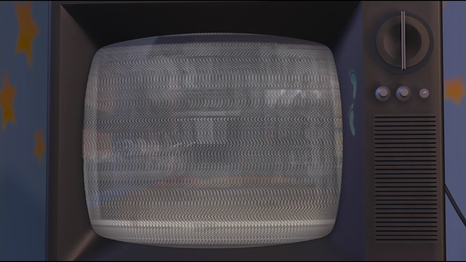 To give the company funding and to build up their company, as well as give itself practice towards their animation and skills and to build up a production team for future projects, Pixar put their focus towards commercials in the late 1980s and early-to-mid 1990s for a better start for their company (as do many animators and animation companies starting out or continuing in the field of animation) at the decision of Steve Jobs after the company had been losing a lot of money for years, by opening up their commercial division in 1989. These commercials would gradually help the company become stand alone and lead them to work their way to make a fully CGI-animated movie. The commercial brands, like Tropicana, Listerine, and Lifesavers, were impressed by Pixar's shorts so much that they came to them to propose the idea of them making CGI commercials for their brands. These commercials were different in that Pixar would only produce the ads if they could be part of the creative development on them, whereas most animated adverts would only have the animation company just make the animation. Thus, Pixar was given much more creative freedom, in advertising and in general. And as mentioned before, a lot of notable Pixar alumni worked on these in animation or directing, from John Lasseter to Pete Doctor to even Henry Selick, with the same couple people working in the producing and technical directing department. The advertisements' success helped Pixar gained $2 million per year from these while continually getting exposure to the mainstream public. The commercial division was officially closed on July 8th, 1996; shortly after the success of Toy Story. However, they did still make some commercials for McDonald's coinciding with the releases of A Bug's Life and Toy Story 2 in 1998 and 1999 respectively, and the company continues to make commercials with their characters to this day. And despite all of this only some of the commercials have made their way to the internet in recent years, and even though they have mentioned and have shown clips of the commercials in documentaries (The Pixar Story and Pixar Shorts: A Short History) they have yet to properly re-release the commercials in a current format. There lies hope that Pixar may release these on one of their "Pixar Shorts" DVDs. 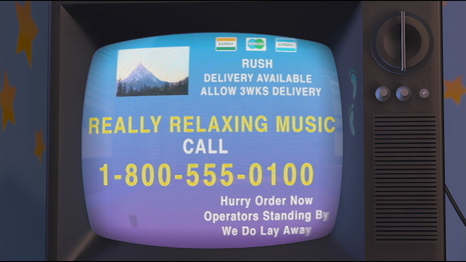 But until something like that happens, we have to rely on personal VHS recordings for the old ads, with quite possibly not every single last one intact. All of the original 79 Pixar commercials made by the commercial division are listed on pixartalk.com. A playlist of the non-McDonald's ones (including variants) can be found on YouTube. 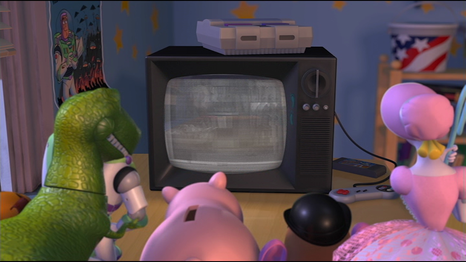 Notably, some of the Pixar commercials, including unresurfaced ones, can be briefly spotted in Toy Story 2 while the toys are flicking through the channels on Andy's TV, as well as some Pixar shorts. Some point after making For the Birds, Pixar made an employee exclusive DVD called "Made in Point Richmond" that contained most of the commercials listed by Pixartalk. 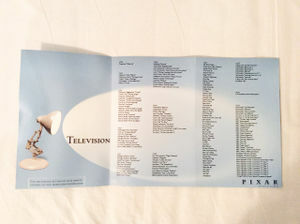 The two Toppan Printing ads are not listed, suggesting they actually weren't Pixar, while one 1993 ad Apple Mac Classic "Introduction" not listed on Pixartalk's list is listed here. 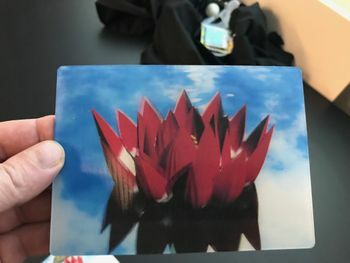 On May 21, 2018, the whole DVD was uploaded as a disc image by LMW forum user jaret35 (ayeayematey on Discord), with the vast majority of Pixar's commercial work being on it. Made in Point Richmond DVD insert listing Pixar commercials. McDonald's – A Bug’s Life – “Belt Loop” 1998 Found There are two, "Belt Loop 1" and "Belt Loop 2." The second one shown is "Belt Loop 2." While the characters are flipping through the TV channels in Pixar's Toy Story 2, some Pixar commercials, as well as Pixar short films, can be seen as an in-joke. 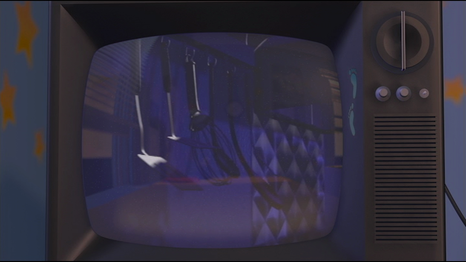 Whether the following screencaps of this scene all include Pixar commercials or not is unknown. 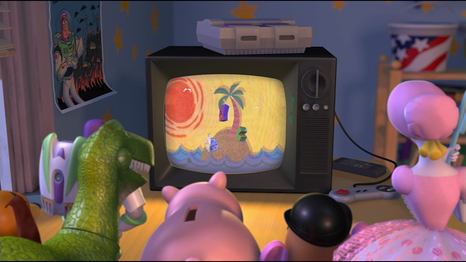 An image of the Tetra Pak commercial "Stranded". 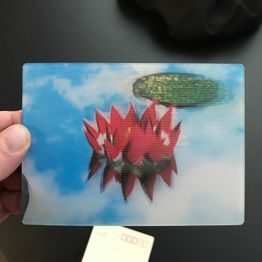 A postcard perhaps depicting “Dance of the Waterlilies." ↑ pixartalk.com page on Pixar's commercials. Retrieved 15 Sep '13. ↑ The Collective Animation Archive playlist containing found Pixar produced commercials. Retrieved 29 Aug '17.